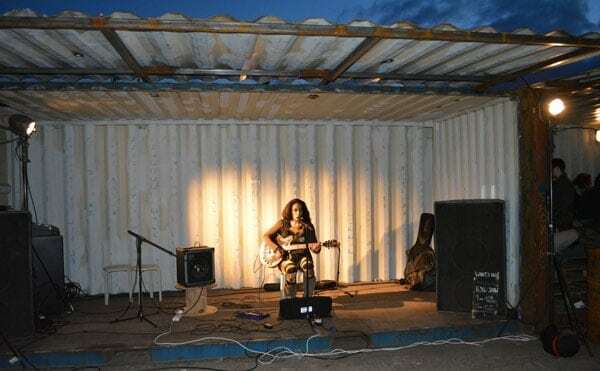 Ever been entertained in a shipping container before? ‘The Boy Who Climbed Out of His Face’ is a show you won’t forget. 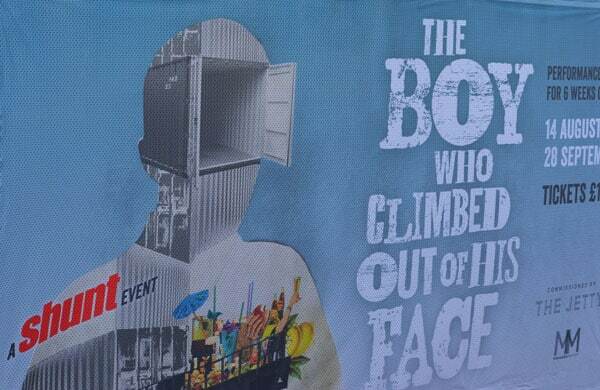 ‘The Boy who Climbed Out of His Face’ is a theatre show housed inside pop up shipping containers on the River Thames, London. 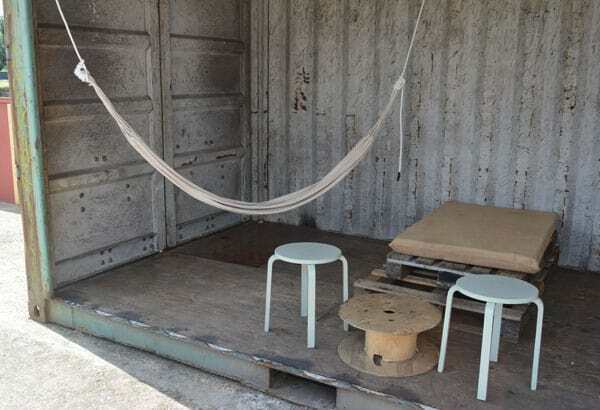 The story is told of how Adaptainer’s container conversion team were asked to create the mystery show’s housing and riverside hang out area compete with food, music and entertainment – all made from recycled shipping containers. Every so often there’s a shipping container conversion project at Adaptainer that stands out from the rest, this was definitely going to be one of them. 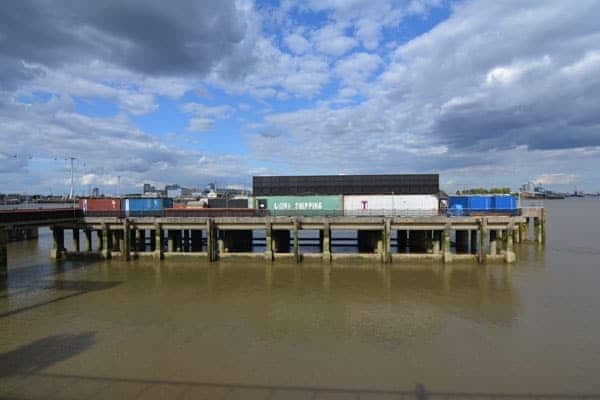 We’d been in brief telephone discussions with a London events producer about a high profile pop up container conversion project to be located on The River Thames. Not much was really known about the project at this stage, but it sounded exciting and we wanted to know more! A few days later we meet the director of the events company, John, at our offices in Ipswich. 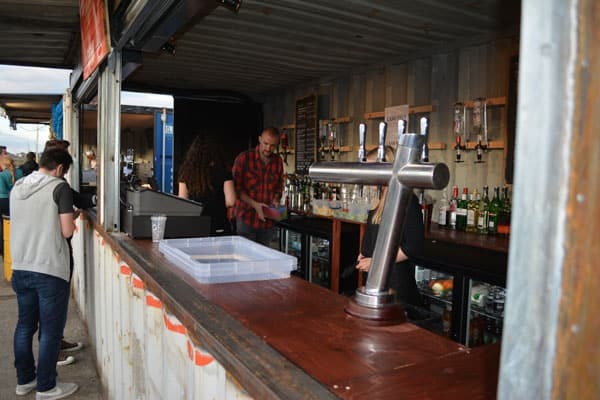 John pulls out a cardboard scale model of 13 modified shipping containers placed in various unusual positions on a jetty, he then tells us that the well known London theatre company Shunt is going to put on a show inside of these containers. The model had some other pop up shipping containers for serving drinks, food and even a live music stage – it was an impressive idea. But here’s the problem… John tells us the show is going live in just a couple of weeks, he needs all the modifications made and the containers craned into position on the Thames in literally record time. The scale of the project and added complication that our container conversion depots across the UK were working at almost full capacity meant it was going to be a challenge – but a challenge we wanted to embrace. And that show is called ‘The Boy Who Climbed Out of His Face’. 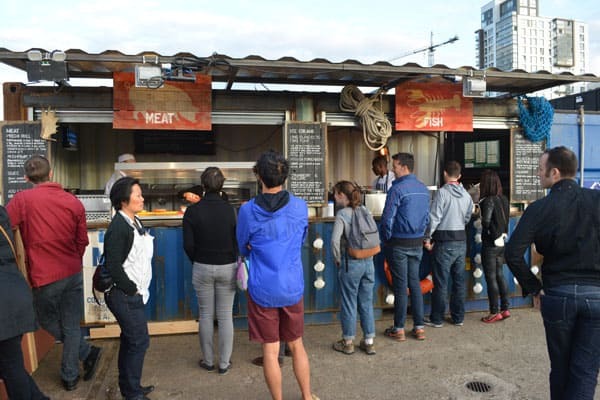 Great entertainment, drinks and tasty food on London’s River Thames. 6 x 40ft containers were modified to create a quadrangle shaped labyrinth that takes you barefoot on a multi-sensory theatre experience. The complex is zoned into various regions and includes a stair case to an upper level which has more theatrical surprises. 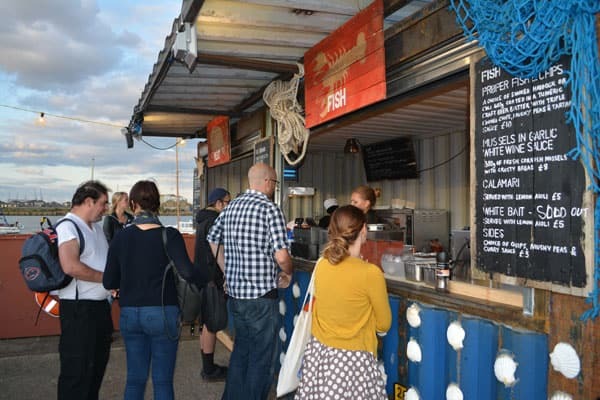 As well as the show you can have a really good party with stunning views of the River Thames, live music, cocktails, and there’s delicious food being served from more of these funky looking pop up cargo containers – no ticket required. Getting there is half the fun too, boats frequently sail from central London to North Greenwich and there’s even a cable car option for those across the river. 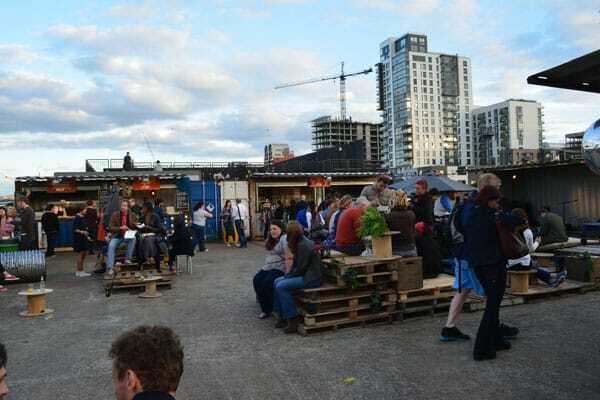 Just walking around the venue, it’s great to see how recycled pop up shipping containers have helped to create such a unique event for people. 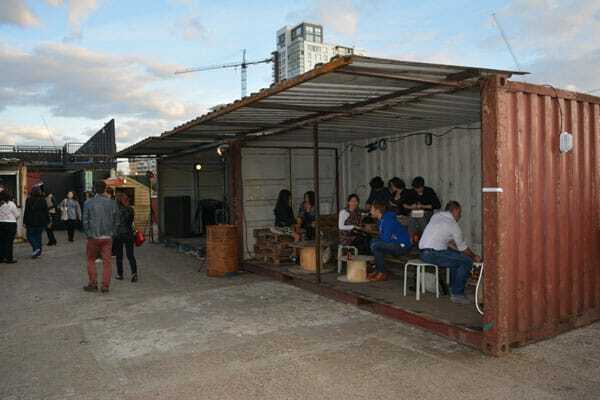 ← Pop-up cafe made from a shipping container makes starting a business easier.